Keep your yard looking great without sacrificing your entire summer by enlisting a fleet of battery-powered tools and pro gardening techniques. This post has been brought to you by Husqvarna. Its facts and opinions are those of BobVila.com. Beautiful yards and lush landscapes don’t happen by chance. 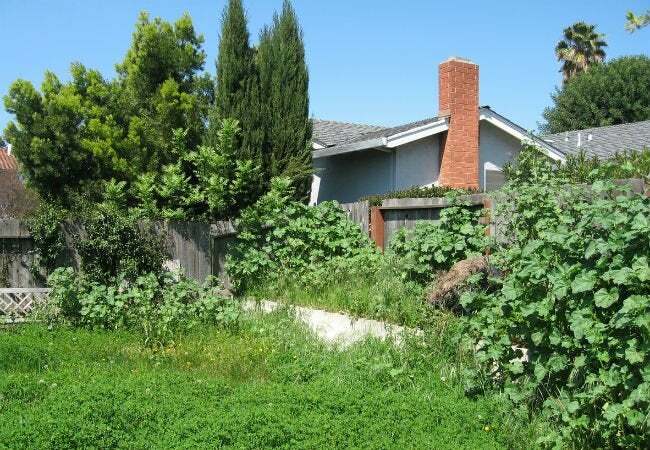 They require frequent hands-on attention to keep the grass at an optimal height, the hedges neatly trimmed, and the lawn from overtaking the sidewalks and flower beds. Don’t let the time commitment discourage you—having a beautiful yard isn’t an impossible goal. Armed with the right tools and techniques, you can have the best-looking yard on the block. Keep on reading if you long for the perfect yard but still want free time to do the things you love. We’ll show you how to tackle five of the most common yard-care challenges and tell you about some tools that can ensure success. To maintain a well-manicured yard, homeowners tend to amass a collection of tools and fuels, each one tailored for a specific task. Over time, that chainsaw, string trimmer, and other powered yard tools pile up in the garage, along with the containers of gas and oil needed to operate them. Strategic selection, however, can minimize clutter, especially if you build your tool collection around a couple of powerful batteries and a single charging station. For starters, you’ll be able to forget about cans of engine oils and gasoline, which can be fire hazards in the garage. Invest instead in a rechargeable battery (or two, so that you always have one fully charged) that can be shared by a number of different power tools. Another plus: Battery-powered yard tools are typically light enough to organize with vertical storage—say, hung from a garage pegboard—leaving more of your garage floor free. With the room you have left over, you might just be able to build that little workbench you’ve been wanting. The best part: These advantages come without a sacrifice in power. 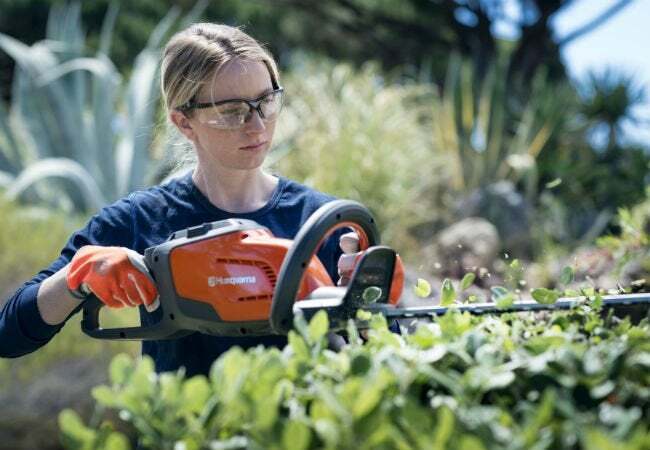 For example, you can power any of Husqvarna’s Battery Series Landscaping Tools (chainsaws, hedge trimmers, string trimmers, pole saws, and leaf blowers) with the same 40-volt lithium-ion, high-performance battery. The battery will power any of the tools in the series for as long as a tank of gas would run a fuel-powered model, and it can recharge in less than an hour. If you have all-day landscaping projects, invest in a Husqvarna battery backpack, which will power your tools up to 10 times longer than an ordinary battery charge. It shouldn’t happen, but it does: Every year homeowners end up in local emergency rooms as the result of accidents that happened while performing routine yard-care and landscaping tasks. While some safety practices are common sense, others are less obvious. Here are just a few tips to keep in mind when you’re using power tools for yard maintenance. • Dress appropriately. Wear long sleeves, long pants, shoes (not sandals), safety glasses, and gloves to protect yourself from flying rocks and debris when operating power tools. You should always wear hearing protection when using outdoor power equipment. • Take precautions. Using a brand-new tool without reading the manufacturer’s operating instructions is a seriously bad habit that you should break ASAP. Take the time to read through the safety instructions—even just 10 minutes could help prevent an injury. • Pace yourself. Mowing with a push mower, trimming branches, string trimming, and digging can be physically demanding. Take frequent breaks and stay hydrated. • Keep children and pets indoors when you’re operating powered lawn and landscaping tools. • Maintain your tools. Look over your hand and power tools regularly, and have damaged tools repaired before using them. Register your power tools when you purchase them to ensure that you’ll be notified of any recalls. The single most time-consuming yard-care task is mowing, and it must be done frequently if you want a healthy lawn. Warm-season grasses should be kept approximately 1/2 to 1 inch tall, while cool-season grasses do best when they’re mowed to a height of approximately 1-1/2 to 2 inches. Moreover, grass remains the healthiest when only a small portion of the leaf blade is removed at a time. That means a lot of mowing, maybe even more than once a week during the peak growing season, just to keep your lawn at its optimal height. 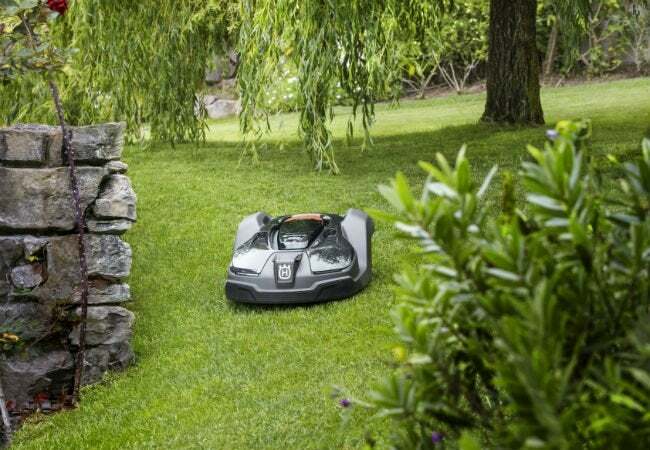 Fortunately, you can say goodbye to the vicious cycle of mowing if you let Husqvarna’s Automower® do it for you. As the name implies, this cutting-edge robotic mower automates the job; just set it (on your iOS or Android smartphone) and forget it. The most work you’ll have to do is the installation, and you can either do the installation yourself or hire your local Husqvarna dealer to complete the installation. After establishing the mowing boundaries and positioning the mower’s docking station (where the mower returns to recharge between uses), just hand over the reins to the Automower, programming it to follow any schedule you choose. It will mow, rain or shine. Wet grass is not an issue, nor are slopes of up to 44 percent, thanks to the mower’s large driving wheels. Homeowners can choose from a number of different models, based on the size of their yard, and GPS-assisted navigation is available on some models. Don’t spend your summer mowing! Let Automower keep your lawn trimmed to perfection while you laze in the shade. • Aerate your lawn in the spring. Over time, dried leaves and grass clippings settle at soil level and can form a barrier that prevents nutrients from getting to the roots of the grass. 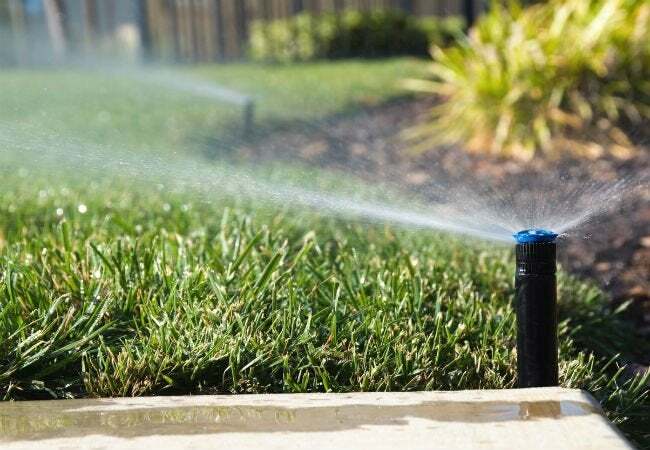 An aerator (available to rent from your local rental or home store) pierces the lawn, loosens the soil, and allows water and fertilizers to reach the roots. • Remove no more than a third of the height of the grass when mowing. Removing more than this can shock the grass, weakening it and making it more susceptible to disease. This may mean you’ll have to mow more frequently during the growing season. • Keep your mower blades sharp. Dull mower blades tear off the top of the grass rather than cutting it sharply. Tearing can damage the grass, causing some of it to yellow and die. 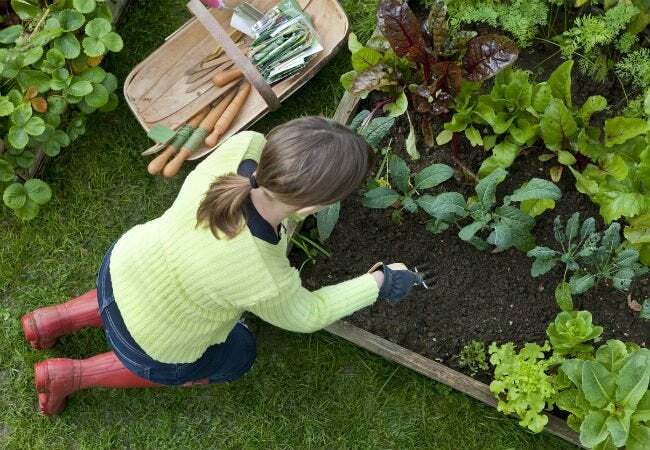 • Fertilize in spring and every six to eight weeks thereafter. Use an all-purpose lawn fertilizer that contains nitrogen, phosphorus, and potassium. Your lawn needs food all summer long. • Water wisely. Most lawns do best when they receive 1 to 2-1/2 inches of water per week. The best practice is to water deeply only once or twice each week, allowing the water to seep deep into the ground, which encourages healthy root growth. “There just aren’t enough hours in the day” is a sentiment most homeowners can relate to. If you have limited time and prefer to take care of your yard work bright and early, though, you run the risk of being a horrible neighbor. Be considerate and try doing the quieter tasks, such as weeding the flower bed or applying fertilizer, when others are still sleeping. Then, when the neighborhood begins to wake up—it’s best to wait until after 9 a.m., especially on a weekend—feel free to knock out the rest of the yard care, including mowing, string trimming, and reshaping unruly hedges. For the happiest neighbors of all, use battery-powered tools rather than fuel-powered. Husqvarna’s fleet of battery-powered tools can handle tasks as effectively as fuel-powered tools with considerably less noise. That’s right: These electric chainsaws, grass and weed trimmers, lightweight pole saws, and hedge trimmers operate on a much quieter level. And when you’re done, cleanup is a snap with Husqvarna’s battery-powered leaf blower! Whatever time of day you’re working, it’s still a good idea to use quiet, battery-powered tools to minimize disruption. See how homeowners have tackled their own biggest challenges with Husqvarna tools. Husqvarna, in conjunction with The Family Handyman, is hosting the Yard Wars Ultimate Challenge to showcase three dull-to-dramatic landscaping makeovers. Vote for your favorite transformation, and you’ll be entered for a chance to win an Automower 450X with an installation kit. See the Official Rules for details. This is a sponsored conversation written by me on behalf of Husqvarna. The opinions and text are all mine.